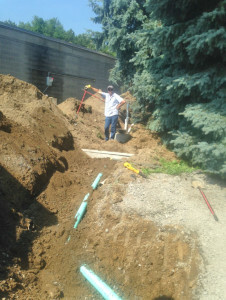 was the solution for a prolonged odor problem affecting a store/restaurants store front. 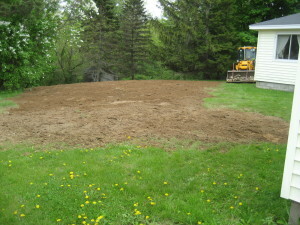 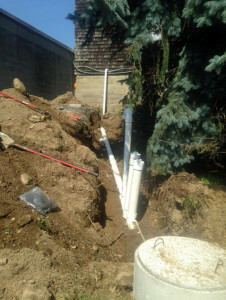 The existing deteriorated septic tank was crushed and filled while a 1,000 gallon septic tank with an inlet riser was installed. 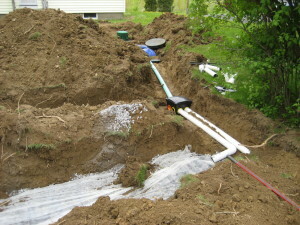 The house trap and fresh air p-trap(with carbon bag) was installed to prevent any further gases from entering the store/restaurant’s drains. 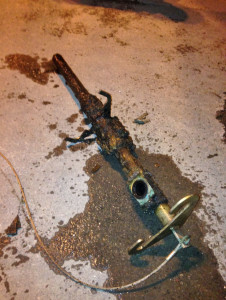 Deteriorated pump discharge assembly off of a grinder pump. 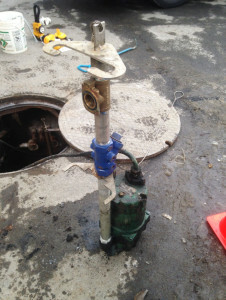 A new assembly was constructed out of stainless steel piping, check valve, and pitless adapter. 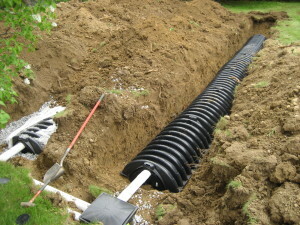 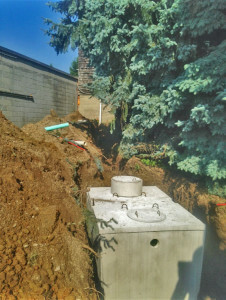 Installation of a Fralo 1,000 gallon polyethylene septic tank. 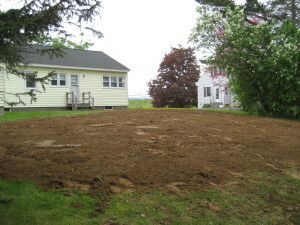 Along with 3 – 40 ft. x 3ft. 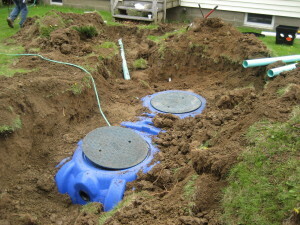 infiltration chambers installed with crushed stone and fabric paper. 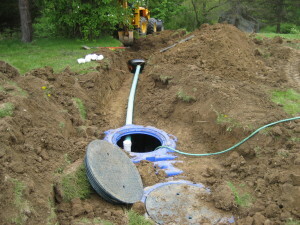 We offer full Residential, Commercial, and Industrial Septic Services, including Grease Traps, Septic and Drain Cleaning, Lift Station Pumping/Repair, Commercial/Industrial Waste Handling, and all your septic systems needs.